Wageningen University & Research Centre makes rapid progress in research into the artificial reproduction of eels. Wageningen, June 28, 2016. After a mere six months of preparations, scientists of the Wageningen UR have managed to produce European eel larvae. This is remarkable since the eel does not reproduce in captivity. Until now, the reproduction has only been successfully induced in laboratories but the larvae were not viable. Wageningen UR aims to develop the necessary knowledge to close the eel life cycle in captivity. The DUPAN Foundation, in collaboration with Wageningen UR and the Ministry of Economic Affairs, started research spanning multiple years into the reproductive biology of the European eel. The current success is not incidental: until now thousands of larvae hatched from eggs from four female eels and survived up to 8 days. Moreover, three of the female eels were wild fish but one mother came from an eel farm. The current progress offers hope for the quest of finding a solution for one of the biggest wildlife mysteries. For several decades, scientists from all over the world have been trying to reproduce European eels in captivity, but until now they were always confronted with the premature death of the offspring. This is mainly due to the fact that scientists do not know what eel larvae eat. 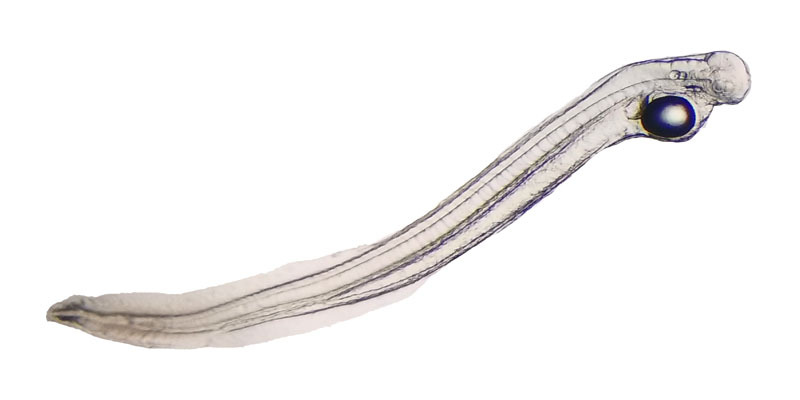 The research at Wageningen UR aims to understand the reproductive process of the eel so that it will be predictable and manageable. The scientists try to improve the protocol to ensure that the larvae are strong enough to eat the available food and grow up as healthy, young eels.